First of all, no misunderstandings. The real Italian espresso coffee can be found only in Italy. Although Starbucks uses a lot of so-called Italian words in presenting its drinks commercial offer, such as “cappuccino” or “machiatto” (the last one as wrong phonetic spelling of the Italian adjective “macchiato”, which means “with milk”), the authentic Italian “caffè” does not come into view in the menus. As a consequence, you may think you have to be satisfied with an American coffee, at least until the day you will package a moka in your baggage. However, there are two simple magic words to obtain what you crave so desperately. The following how-to guide should help you. 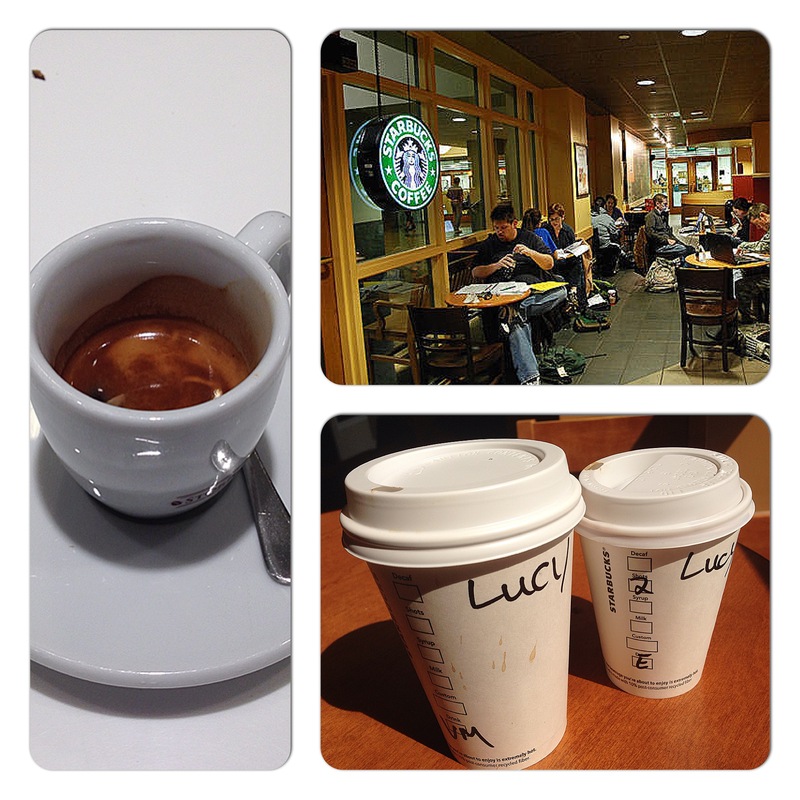 Try to ask the barman, with your brightest smile, an “espresso shot”. In most cases, those words will confuse him. The truth is, he knows how to fulfill your request, but almost anybody ask for this beverage in months. So, he does not remember how to prepare it. In all probability, the barman will leave the cash register and will investigate the problem together with a colleague. After minutes of chitchatting, the barman will come back to you showing two cups. “Do you want your espresso shot in the large one or the small one?”. The small one, of course. Time passes. Protests in the line behind you. Finally, the barman places a cup on the counter. Here’s your espresso shot. Congratulations! By the way, the price is unofficial. In my experience, I have paid an espresso shot from one to 4.60 bucks.